French inspired MO&Co. is all about translating the latest trends into sleek, modern fashions with an eclectic edge. While rarely seen outside its native market the Chinese brand’s streamlined designs have been pleasing fashionphiles for years and with each season they raise the bar a little higher, enlisting top tier talent and models for their campaigns. Cutting edge photographers like Sølve Sundsbø and Barnaby Roper have been at the helm of MO&Co. campaigns before and this season Karim Sadli joins the illustrious list of names who have shaped the brand’s visual identity. The minimalist yet expressive campaign by Sadli premieres in this MDX exclusive sponsored feature, which debuts not only Sadli’s impressive stills, but an ultra-chic accompanying film by Timothy Douglas. The seasonal ads reunite MO&Co. with four time campaign star, the always electric Freja Beha. Sporting the pared down MO&Co. spring / summer look while bringing her own innate cool to the table, Freja proves the perfect brand muse. Experience the MO&Co. campaign in full, only in MDX. Additional campaign photos will be released throughout the week on Models.com in this special Mo&Co. sponsored presentation. OHMYGODDD!!! I love this!! I was missing Freja a lot and she comes back with this. She never disappoints you, the “Queen of Cool”! I love the slooooow mooooooo. And cat mask is genius. A clear example a model that provides this sort of unexplainable attitude that we all desire. i guess thats really the point of being a ‘fashion model’. Wow. Watched it before I read the credits and loved it and then realized it was Karim Sadli, who seems to turn it out. OMG Amazing!!! !Does anybody know that song in this video??? She looks so nice with blond hair ! I just wanna say , OMG ! Freja! This Phantogram song is perfect for the clothes, the model, the brand. But what stands out is the brilliant creative direction. Superb. Bravo bravo! 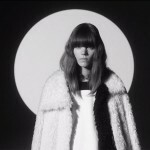 Freja is just amazing and the production of Mo&Co. of this time is preparing and creative. Love this!! Whatever what she did that make everyone crazy for her.Great . freja i miss you 😀 you always perfect! i love you foreverrrrrrr! !